Our programming tools for Microsoft Office and Internet Explorer developers are true RAD components that will set you free of low level programming and save many weeks of coding. 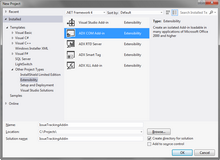 The components enable you to create powerful version-independent extensions with a single code base. Add-in Express for Office and .NET is a comprehensive framework for developing world-class extensions for all applications of Microsoft Office, including Outlook, Excel, Word, PowerPoint, Visio, Access etc. It provides developers with a wide range of visual designers, components and project templates that let you swiftly create COM Add-ins, Outlook plug-ins, Excel XLL addins, UDFs and RTD Servers for all versions of Microsoft Office, from 2000 through 2016. Add-in Express for Office and Delphi is a visual tool for creating feature-rich, fast and compact Office customizations in Delphi. It allows developers to skip all the plumbing and focus on the applied code of their solutions. Using Add-in Express visual designers, components and project templates you can create version-independent plug-ins, such as COM add-ins for Outlook, Excel, Word, PowerPoint and other Office apps, Excel Automation add-ins and Real-Time Data servers that work flawlessly in all Office versions, from 2000 to 2016. 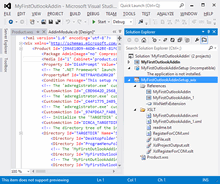 This component for Microsoft Outlook developers allows you to customize the Outlook folder views (the Outlook Explorer window) and Outlook forms (the Outlook Inspector window) with your own feature-rich .NET and Delphi forms. 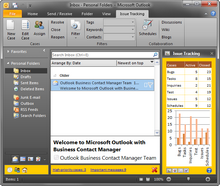 Unlike native Microsoft form regions, the advanced regions provided by Add-in Express work with all Outlook versions, from 2000 through 2016 32-bit and 64-bit. You can embedded the advanced regions into any Outlook forms and views; add them to the Outlook Navigation pane, Folder view pane, Reading pane, To-Do bar and task pane docks. 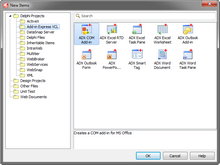 The advanced regions can be resized, hidden or minimized by users, dragged between docks and bound to specific Outlook folders, content or context. VDProj to WiX Converter is an extension for Visual Studio that lets you convert your existing Visual Studio setup project to a WiX Setup project literally in two mouse clicks. All features of Visual Studio and WiX setup projects are fully supported: all project types and built-in dialogs, all variables and searches, files and registry entries, resources and prerequisites. 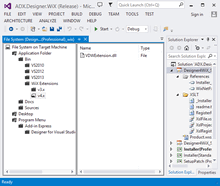 The Designer for WiX Toolset provides developers with a set of visual editors that allow you to quickly configure any WiX setup project in a familiar Visual Studio way. Using WiX Designer you can make all setup project types supported by the WiX Toolset including standard msi installation packages, web-deployment setup projects, merge modules, etc. Based on the Internet Explorer extensibility, this development tool provides an easy and comfortable way to program add-ons for IE 6 - IE 11. 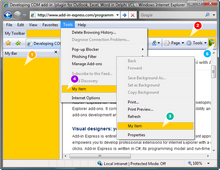 With Add-in Express developers can quickly build browser helper objects (BHO), create IE toolbar with custom buttons, add items to a context or popup menu, develop custom vertical or horizontal Explorer bars. This is a one-line programming tool for controlling Outlook Security. With Outlook Security Manager you can disable security settings and avoid security warnings like "a program is trying to access e-mail addresses" with just one line of code. Unlike similar tools, Outlook Security Manager doesn't transform OOM and CDO calls to Extended MAPI calls and doesn't make development more complicated with its own special objects. It supports Outlook 2000 - 2016, and the .NET, VCL and ActiveX editions are included in one license package.